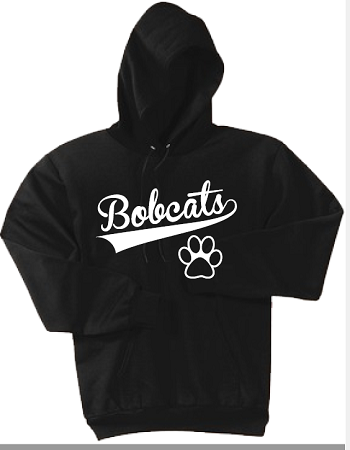 Celebrate school pride and stay warm with the East Valley Hoodie! Port & Company Men's Pullover Fleece Hoodie. Black with white EVMS logo. Crafted for comfort, this lighter weight sweatshirt is perfect for relaxing and it's a real value. 50/50 cotton/poly fleece, Two-ply hood, Front pouch pocket.